WOW! Let me say to all 200,000 plus of you who read my last article, To the Fraternity Who Spit on Wounded Veterans, and in my best Ron Burgandy voice, “Boy, That escalated quickly. I mean, that really got out of hand fast.” Yes, as it turns out, us Vets were legitimately pissed! The fraternity’s Facebook page went from a few hundred comments about, “What up Bro”, frat stuff, to something a little bit more like an angry Samuel L. Jackson monologue. But alas, it was not all for nought! The University of Florida has officially closed the chapter in question and now it is left to Emory University and the National Chapter to decide what action to take. We will be watching you. But let’s tie this in to other recent news. Now, to break it down, she basically insinuated that police brutality is driven by veterans returning from war, joining the police, and then going into war mode on our own citizenry. In that one sentence she unnecessarily vilified thousands of Veterans whose only crime was to protect and serve in the civilian world after putting it all on the line in war. Honestly, I don’t even know what to say to that rather than to offer the below monologue from another movie that might help offer some commentary on her answer. Yes, when you can’t think of the words yourself as a writer to describe it, thankfully Youtube comes to the rescue. So who exactly are we as a group of Veterans that we can be so easily tied in the minds of ignorant reporters to vehicles of uncontrollable war rage? I mean yes, when you spit on our wounded brothers we will get a little rowdy. Consequently, I think if we insist with strong Samuel L. Jackson like words your charter gets revoked, then we are well within the rules of engagement. Would we have really beat up those Frat boys if we saw them spitting on the wounded warriors in the moment? Oh yeah, totally? Would we have killed them, No, of course not. It would have been controlled violence based off the threat they posed. Would there have been a smirk on our face while it was done, maybe just a little. After all, they were spitting on disabled veterans. Yet, no one is hunting them down and if we did, it would only be to watch them punk out and perhaps make them lick dried dog poo. The point is, for the most part, us Veterans are just minding our own business attempting to move on with our lives. 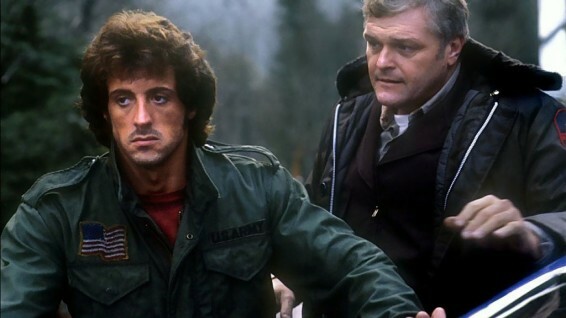 For goodness sake, even John Rambo just wanted a cup of coffee until someone kept pushing him. I have spent the past 12 years since the war working for a non-profit serving emotionally disturbed children. Others are starting businesses, raising families, serving in first responder roles, going to school, and even serving in Congress all the while, not going crazy. Ok, there was that one Marine Congressmen who threatened to throw a reporter off a balcony, but hey, that’s Congress and anything goes, right? So, CNN lady, you know what you get when you have Veterans serving in law enforcement? You get people who are not easily rattled, people whom have shown discipline under fire, and honestly, I think you get better decisions. Because Veterans have been there, and done that. What a reckless thing for her to say on national TV as a journalist. It is less than helpful to say the least. Now, I am not posting her name, although I am sure you can find it. You see, although I did call in a “fire mission” per say on Zeta Beta Tau, which is actually something I will rarely do here, that is not always necessary. Rather, I expect stupidity from elements of society and I am just not all that bothered by it. I have found the key to peace in life is low expectations of other humans. I don’t think it is helpful for Veterans to become so easily offended by every slight. Some offenses required a heavier response than others while some just require a simple shaking of the head and moving on. This CNN lady is just ignorant. Yet, she still deserves to be called out because of her role in the media. She was likely just rambling thoughts off the top of her head without any research as has become the norm in modern journalism. It was ignorance of which I feel is not worthy of further commentary. But come now brothers, find your peace for we must move on. So to my fellow angry Vets, it’s been a good week. You rose to the challenge when your wounded brothers were assaulted, but let’s not forget to keep living this life we have in front of us right now with as much joy as possible. Time to switch back to Bruce Banner and cue the sad walking away music until they day we are needed again. Live a life without precedent today and just never forget how to become the Hulk. Sign up below to receive new posts directly to your email or like the Unprecedented Mediocrity Page on Facebook below. Couldn’t post on my own post for some reason. Cell phone wasn’t made by the Marine Corp.lol I just wanted to say you are awesome bro. Thank you Jeff for taking the public side of our fallen brothers. We do however have an epidemic of police brutality here in the good ole US of A. I’m not sayin that it is being caused by our brothers coming back from Iraq. 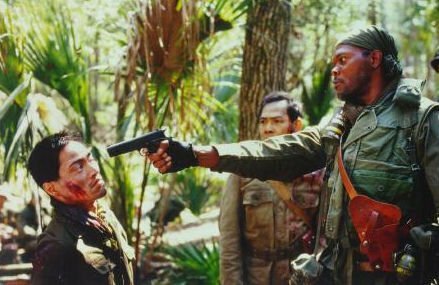 I’m just sayin that we need to find out why and I mean now, because if I ever encounter any of that police brutality I will kill them just as I killed the enemy in Honduras. Both are enemies foreign or domestic. Serve your country within the ROE or step down and let people that can do. Thanks for the feedback man! I think we definitely need some checks on Police power, but I really have a high confidence rate in out Veteran brothers out there watching over us. But you are right, we had ROE overseas and cops have them here! Thanks Shane. Trying to do every one proud! than open your mouth and have it confirmed…..
Well said muskat! Well said!